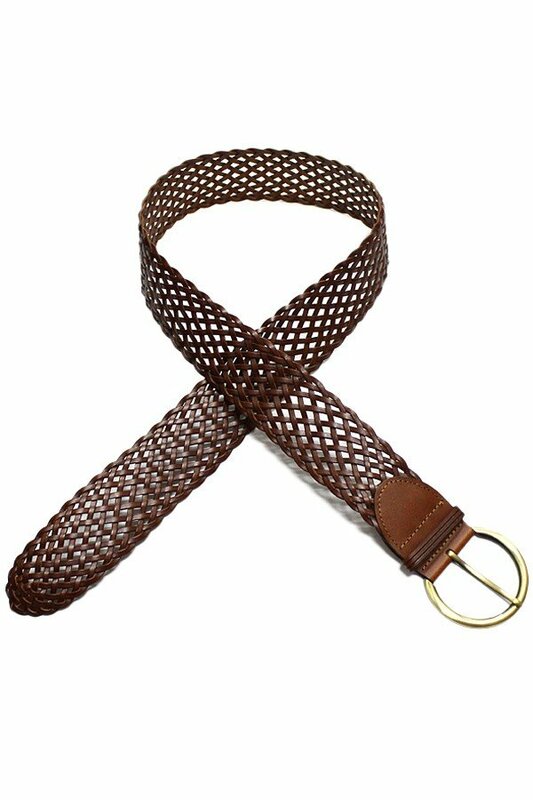 Description: Woven faux leather belt with antique gold buckle. Approx. width 2".